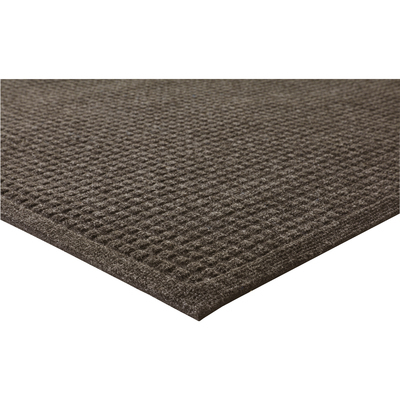 Keep Your Interior Clean And Safe With This Dependable Floor Mat. Absorbent Fibers Effectively Wipe Dirt And Moisture Away From Shoes To Prevent Tracking Them Into The Building. Bi-Level Construction Traps Dirt Below The Surface To Maintain High Efficiency. Edges Are Sloped To Help Prevent Trips And Falls. Eco-Friendly Design Is Made With A Very High Percentage Of Post-Consumer Materials To Prevent Landfill Waste And Keep Our Environment Clean..